CupCakes and CrabLegs: Holiday Cheer - Tequila Makes For A Very Merry Christmas! Holiday Cheer - Tequila Makes For A Very Merry Christmas! My friend Cesar Mascorro Pérez who is Manager of New Markets for Tequilas del Señor and I wrote this post about celebrating Christmas in Mexico with his favorite drink (and mine too)…Tequila. or have a colorful night on the town. I have come a long way in developing both my knowledge and taste for Tequila. Did I have to drink a lot of tequila to get here? Depends on what you call a lot but I do remember more than one colorful nights on the town. Don’t ask a bartender these days for his finest tequila. You will pay upward of $110 a shot for Cuervo Colleccion, Porfidio Barrique and many other premium brands. And pay particular attention to this warning: Do not carry your cash card with you when you are drinking a lot of tequila. You could end up flying to Vegas only to wake up the next morning at Mandalay Bay and wonder how you got there. Sound familiar? We’ve all had tequila moments that have scripted Tequila Confessions. In the US, most people are introduced to bad tequila and never really make the transition to 100 percent blue agave tequila. Honestly, they do not know what they are missing. There is a huge difference between the tequila you bought last week at $11.00 a bottle to mix in your Margaritas and 100 percent blue agave. When you finally come around to drinking “good” tequila straight, it is a true expression of your passion for tequila. Yes - you have arrived! Getting into the tequila culture takes a little bit of time and a whole lot of study but there is nothing better than 100 percent blue agave tequila. It is so smooth - like sipping a great brandy or cognac. The key, as in anything, is in the aging process. I will admit that I am a bit of a Tequila snob now. Most cheap tequilas bear little similarity to tequila at its finest. Cheap tequila achieves its function when the main goal is intoxication, but puts forward only a whisper of tequila’s real excellence. The incredible growth in the tequila industry has generated over three hundred new brands in the last few years alone and just like Tequila, celebrating Christmas is a tradition deeply rooted within the Mexican culture. Mexicans do love their “Posadas”; festivities traditionally held in December with friends, family or colleagues. At a Posada, you will not only find great food but also a variety of Tequilas and other spirits. And like every Christmas party, some people get into the “spirit” more than others. Hey – it’s part of the tradition that you will do only once if you’re smart. Cesar Mascorro Pérez and I have been friends for a long time. 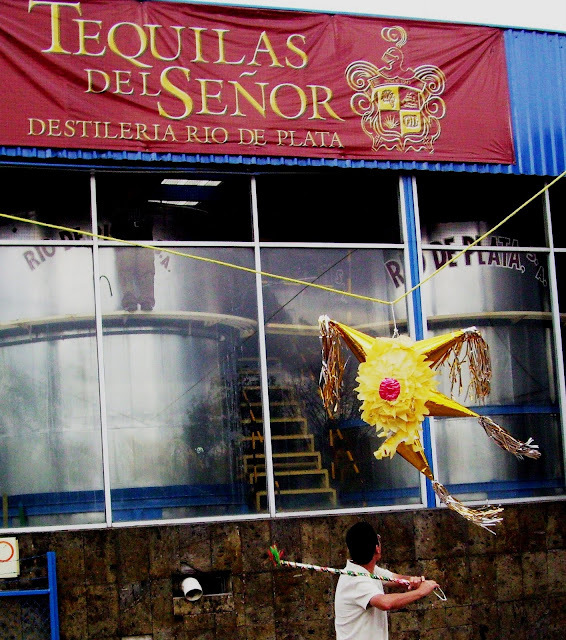 In the process of doing a U.S marketing plan for another brand of tequila, I learned a whole lot about the spirit myself. The thing that I love about Cesar is that he knows tequila so well. You can put a flight of tequila in front of him and he can name every brand. He will start out with something like this “has light floral notes that are followed up with characters of cinnamon, touches of black pepper, balanced with minute inklings of sweet vanilla and ends with a smooth finish that introduces notes of lime.” Did you every wish that your own palate was so sophisticated? 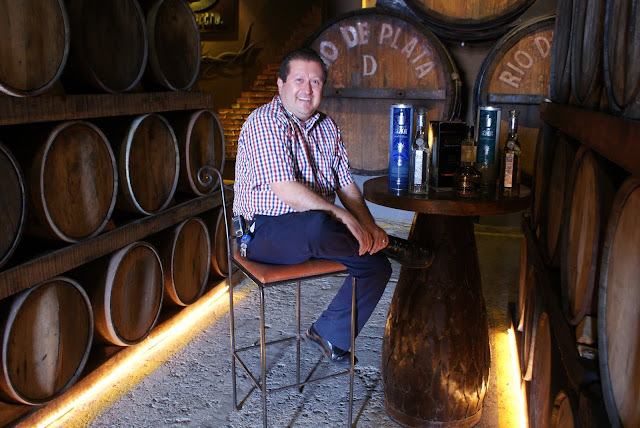 Cesar’s posada at Tequilas del Señor was held on December 5th in the company of owner Don Manuel Garcia, his family and all the staff and contributors to this great tequila producer. The traditional posada was celebrated once again, as it has been for more than 60 years with piñatas, a taco buffet and, of course, those great tequila cocktails which I have recipes for in my next post. Most Mexicans are deeply devout and are attached to their religious traditions at Christmas. 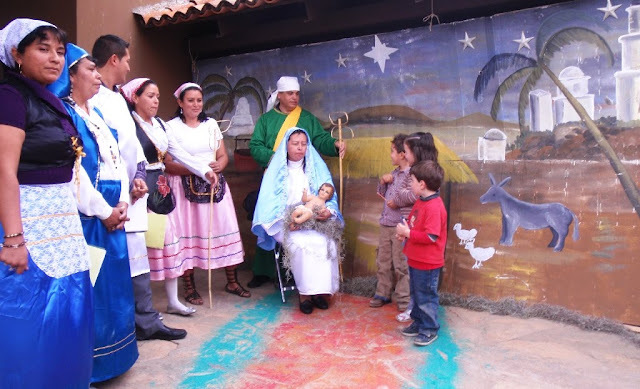 I love the fact that the Tequila del Senor staff acted out a Nativity play of the birth of Jesus, better known as a “pastorela” at their party. Preparing for yet another Posada this season, Cesar offers some of the delicious items on their Christmas menu. 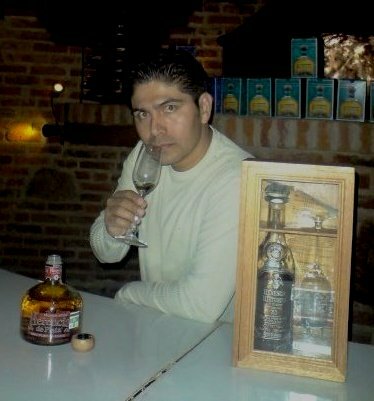 Also, Bernardo Torres, professional tequila sommelier at Tequilas del Senor, makes the recommendations on what Tequila you should enjoy with each dish. P.S. And in my next life I am coming back as a professional tequila sommelier! That sounds like a dream job to me. Blend the chipotle and shrimp separately, so that when mixing the ingredients they become a spreadable paté for the crackers. Once you have already mixed the shrimp, cream cheese, chipotle and salt serve the pate on crackers with the apricot jam as a topping. Tequila Recommendation: In a good combination of spicy and sweet with this appetizer, Bernardo recommends a glass of Reserva del Senor Reposado. Yes- straight up to be enjoyed. I love this recipe and fix it whenever I have company around the holidays. Marinate the turkey overnight with soft or melted butter, garlic, pepper, salt, mustard, cover it well inside and out. Inject with the Reserva del Señor Reposado tequila in the breast, legs and thighs. The turkey should then be stuffed and whole apples which are placed in the throat and in the rear cavity. The openings are sewn shut with needle and thread, so that the stuffing does not come out. Place the turkey in a plastic oven bag, breast side down. One hour before it is done turn the turkey over with the breast side up to brown evenly. Note: Cook according to the directions on your turkey. Also, see the new stuffing recipe that I posted from Anthony’s grandfather Fritz. This would be the perfect pairing for this dish. Tequila Recommendation: Again, the Reserva del Señor Reposado, will provide aromas of almonds, vanilla, hazelnut, plums and an unforgettable aroma of the agave syrup which will be a perfect pairing for this main dish. P.S. Remember this is sipping tequila and if you do anything other than sip, you may be cooked before the dessert. Stir together the first 8 ingredients in a medium bowl to make the marinade. Combine the steak and 3/4 cup of the marinade in a large zip-top bag. Place the peppers and onion in another large zip-top bag, and pour in the remaining marinade. Seal the bags and marinate in the refrigerator for 2 to 4 hours, turning occasionally. Note: Since I prefer my vegetables somewhat crunchy, I do not marinate them with the meat but grill them fresh. It’s a matter of preference. Coat a grill rack or grill pan with vegetable cooking spray. Remove the steak and vegetables from the bags and discard the marinade. Grill the steak 8 minutes per side and the vegetables 8 to 10 minutes, turning them every 2 to 3 minutes. Remove the steak and vegetables from the grill. Keep the vegetables warm and let the steak sit for 10 minutes before slicing. Wrap the tortillas in foil and place on the grill or a grill pan to warm for a few minutes. Cut the steak on an angle, against the grain, into thin slices. Fill the tortillas with peppers, onion, and steak. Top with salsa, diced avocado, and sour cream. To each three scoops of ice cream add a shot glass of tequila to serve as a sorbet. This can be enjoyed with a straw or a spoon. Tequila Recommendation: Bernardo says the best warm up for this dessert would be a delicious "White Mexican”, prepared with a dose of the Reserva del Señor Almendrado on the rocks along with two doses of evaporated milk. P.S. A dose is any measurement you want it to be. Love that! If you are in Chicago, the place to sip outstanding tequilas is at the Salud Tequila Lounge at 1471 N. Milwaukee Ave. I met the Salud owners a few years back at the Las Vegas Tequila Fest. With over 80 tequilas in-house (I am totally impressed with the fact that they have stocked over 80 tequilas and all of them are 100% agave), Salud offers an experience without comparison anywhere else in Chicago. Each month, Salud features a different tequila at a special dinner held in their back room. A representative from that distillery comes in to discuss the particulars of the tequila and the tequila-making process. It is fascinating to hear the history and traditions of each distillery and you can enjoy the unique flavors that are made with every tequila. 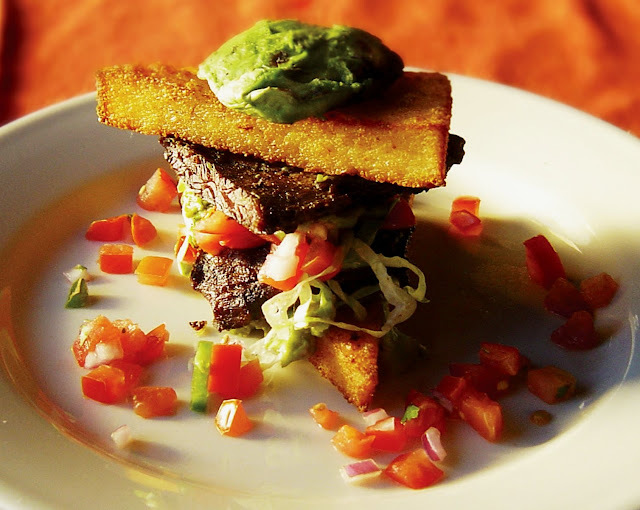 Chef Jose Gonzalez focus is that the food blends with the tastes of the 100% agave tequilas that they serve. Tequila Reposado 100% agave HERENCIA DE PLATA was a Double Gold Medal winner at the San Francisco World Spirit Competition in 2008. Savor that thought as it is soon to be available in the US. No matter what your plan is to celebrate the holidays, make sure that you include a little Tequila – 100 percent blue agave that is- in your celebration. Feliz Navidad and Buen apetito!